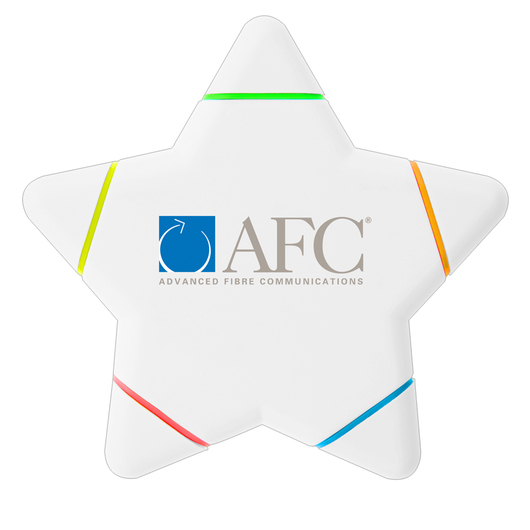 A promotional highlighter star that features your printed logo. Have your logo be the star of the show with some of these handy highlighters. Each point of the star has a different coloured highlighter inside, making for a fabulous promotional highlighter set. They also have a highly visible decoration on the front for maximum branding impact.